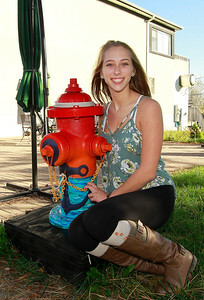 Candace H. Johnson-For Shaw Media Kristina Bell, 16, of Fox Lake sits by her fire hydrant called, "Anchor," outside the Village Bakery & Cafe on Grand Avenue in Fox Lake. 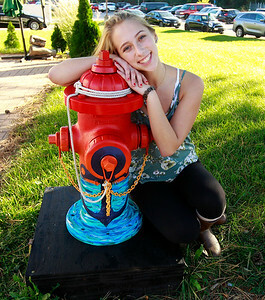 Candace H. Johnson-For Shaw Media Kristina Bell, 16, of Fox Lake sits by her fire hydrant called, "Anchor", near the Village Bakery & Cafe on Grand Avenue in Fox Lake. 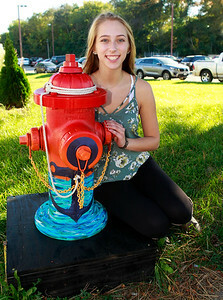 Candace H. Johnson-For Shaw Media Kristina Bell, 16, of Fox Lake sits by her fire hydrant called, "Anchor", next to the Village Bakery on Grand Avenue in Fox Lake. 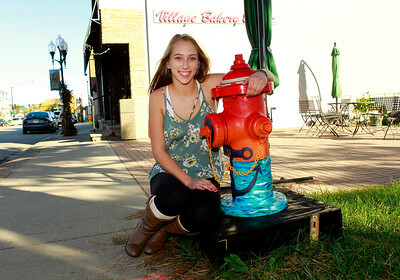 Candace H. Johnson-For Shaw Media Kristina Bell, 16, of Fox Lake sits by her fire hydrant called, "Anchor," next to the Village Bakery & Cafe on Grand Avenue in Fox Lake. Kristina Bell, 16, of Fox Lake sits by her fire hydrant called, "Anchor", next to the Village Bakery on Grand Avenue in Fox Lake.